Coffey, Levine & Blumberg was a landscape architectural firm, which existed from 1957 until the mid-1970s . The firm was founded by noted landscape architect Clara Stimson Coffey (1894-1982) with partners Irving Levine (December 15, 1914 – August 1, 1999) and Bertram Blumberg (June 24, 1926 – August 19, 2012). Each partner was responsible for a specific focus within the firm, Coffey was in charge of plantings, Levine specialized in grading, and Blumberg took charge of contract documents and firm operations. Coffey held bachelor’s and master’s degrees in landscape architecture from the University of Michigan, Levine was a graduate of New York University, and Blumberg of Pratt Institute . Coffey had previously done a large amount of private estate design. However the firm’s main body of work was for the New York City Department of Parks and Recreation, where Coffey had served as Chief of Tree Plantings from 1936-45 . Over the next two decades, the firm worked on 30 parks, 24 playgrounds, 10 public housing campuses, and more than 40 residential projects. They also completed landscapes for shopping centers, schools, hotels, hospitals, college campuses, and public buildings, all within this relatively short period of time . The partnership’s designs were firmly established in a modern style and they were one of the first to use new, contemporary design concepts rather than the traditional designs and equipment required by the parks department. Ann Butter who was lead designer of Yellowstone Park in Forest Hills, Queens, remembers that the firm was allowed to provide their own design concepts, which at Yellowstone include a sharply graded site with curved step ramps, concrete walls, and seating configurations, connecting the various circular recreational areas. 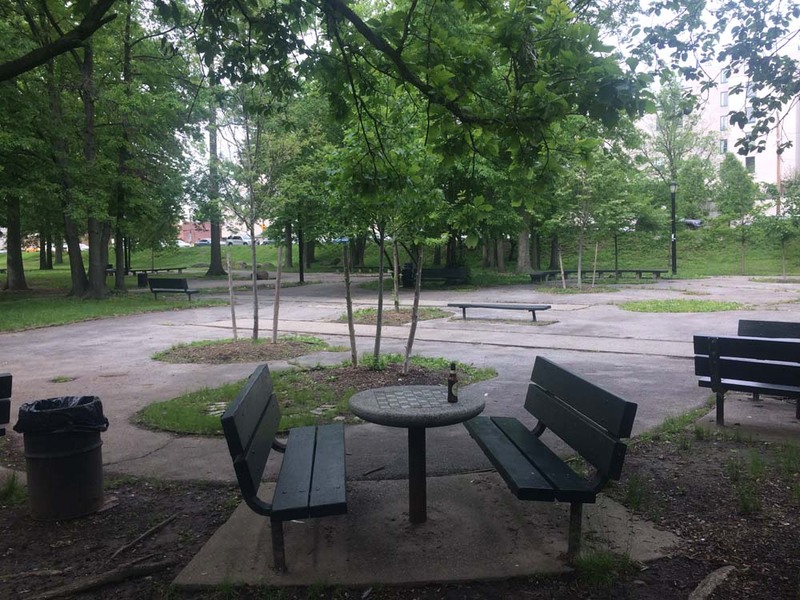 The circular designs were used on the upper levels to create a more naturalistic setting around a large existing tree that the community wanted incorporated and also helped to set the park design apart from the rigid street grid of Forest Hills . The project won a Queens Chamber of Commerce Building Award in 1968. 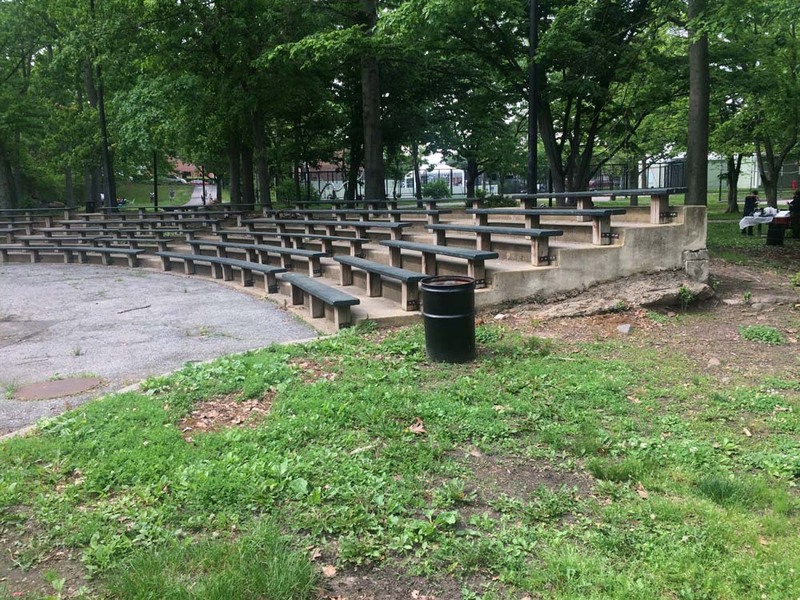 At Haffen Park in the Bronx, there are numerous curvilinear concrete walls, incised with abstract designs, that separate various circular seating and play areas. As with Yellowstone, the park’s topography is quite varied and the design takes advantage of that to divide the sections. Several of the firm’s designs, including Strickland Park in Brooklyn and Seton Falls Park in the Bronx, feature innovate play equipment, such as round concrete play steps and concrete and wooden play animals including turtles, elephants, and kangaroos. The firm also designed platforms of wood decks supported by round steel color coated columns, which subsequently became the standard used for many years by numerous play equipment manufacturers . In a New York Times article from 1967, Parks Administrator Thomas Hoving and Mayor John Lindsay announced three pilot playground projects that would use modern design concepts. One, P.S. 166 in Manhattan was designed by the pioneering M. Paul Friedberg, the other two, Yellowstone Park and Cooper Park in Brooklyn, were both designed by Coffey, Levine & Blumberg , but the firm went unmentioned in the article. An Architectural Record article from August of the same year highlights how the Parks Department’s thinking had evolved in using design to improve community access to parks. 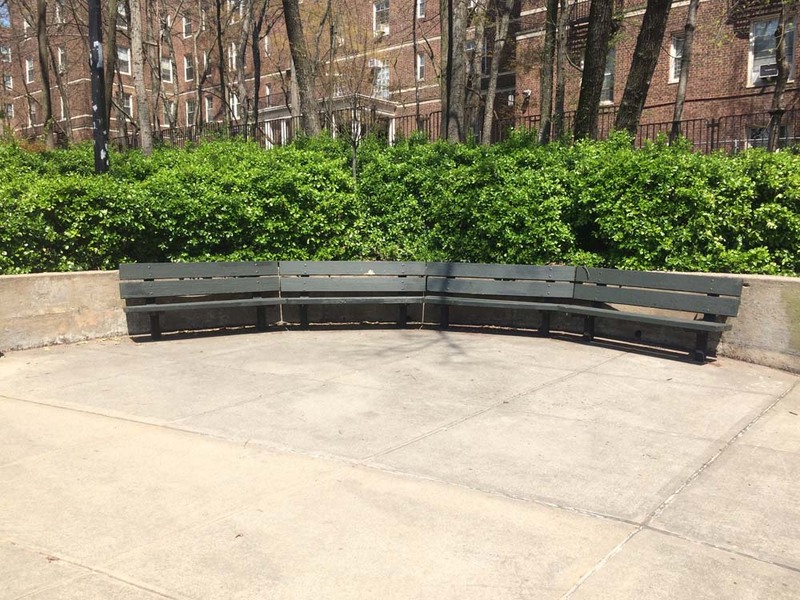 Alongside designs by Friedberg, Zion & Breen, and Carl Warnecke, the article featured Coffey, Levine & Blumberg’s Mott Haven Seating Area, designed by Howard Abel, as a skillfully created pocket park in an area of the South Bronx devoid of planned open space . In addition to the award for Yellowstone, the firm also received a Queens Chamber of Commerce Building Award for Bayswater Park, Edgemere, in 1970; a Bard Award from the City Club of New York City and AIA Award for the 139th Street Playground, Manhattan, in 1972; and mention in the AIA Guide to New York for Haffen Park. The firm split up after 1976 as municipal projects dried up due to the growing fiscal crisis in the city. 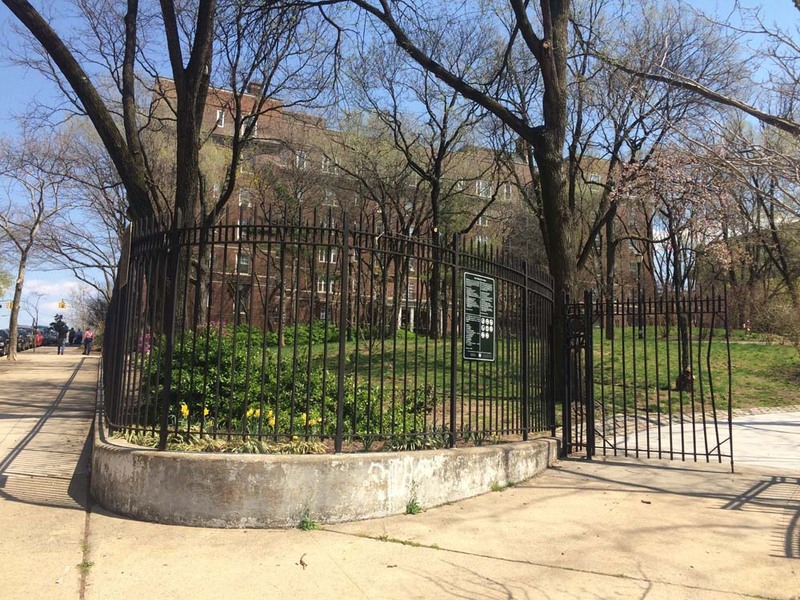 Today, despite their impressive output and part in shaping parks across all five boroughs, the firm is not nearly as well known as some of their contemporaries. For Coffey, one of the most prominent female landscape architects in New York City at the time, this is especially true. In addition, due to state regulations at the time, building architects and landscape architects were not legally allowed to be business partners, so much of Coffey Levine & Blumberg’s early work is credited solely to Levine and Blumberg, the licensed architects in the firm . Given their prodigious output at a turning point in park and open space design in New York City, the firm deserves a place within this history. Butter, Ann. Telephone Interview. 6 April 2017. Coffey, Levine & Bumberg firm project list, date unknown. Collection of the author. Butter, Ann. Email Interview. 12 August 2017. “New Parks to Use Modern Concepts.” The New York Times. 14 January 1967. Web. Thompson, Elisabeth Kendall. “Recreation: A Chance for Innovative Urban Design.” Architectural Record. August 1967. Print.